"They may finish supplying Vol. 23 to old subscribers to the Uniform editions. (Necessarily they must do this, whether they pay me anything on it or not.)" My Début as a Literary Person and Other Essays and Stories, Volume 23, is the last volume of American Publishing Company's uniform edition that Frank Bliss would publish. It had been three years since he had published Volume 22 and it was up to individual subscribers to continue to purchase new volumes to add to the sets they acquired in 1899. In 1900, at the time Frank Bliss was compiling How to Tell a Story and Other Essays, Volume 22, Harper and Brothers had been at work compiling a collection of stories and essays titled The Man That Corrupted Hadleyburg and Other Stories and Essays for publication in their uniform red cloth and gold cornstalk binding. Bliss's Volume 22 was copyrighted on April 9, 1900. Harper copyrighted their book a few weeks later on April 30, 1900. "The Man that Corrupted Hadleyburg" was the lead story for Harper's collection of previously published essays. Bliss's Volume 22 and Harper's The Man That Corrupted Hadleyburg and Other Stories and Essays contained a number of stories in common. The following chart compares the two tables of contents. Titles in bold designate the stories in common between the two volumes. Private History of the "Jumping Frog Story"
What is evident from comparing the above charts is that in 1900 Harper's volumes offered additional stories that Bliss's Volume 22 did not feature. To that end, Bliss was compiling the contents for Volume 23 as early as August 1902 and it would be deposited for copyright in Washington, D. C. on April 28, 1903. Bliss chose to make "My Début as a Literary Person" the lead story of Volume 23. It was an essay that had appeared in Century magazine in November 1899. Harper had included the essay in the 1900 first edition of The Man That Corrupted Hadleyburg and Other Stories and Essays but did not consider it a story worthy of top billing. "My Début as a Literary Person" was Clemens's memoir of the time he had written about the sinking of the Hornet in 1866 and the survival of fifteen men who spent 46 days in an open lifeboat. Clemens had made use of diaries kept by Reverend Henry Ferguson and his brother Samuel when he first wrote the news story. After reading Clemens's story in the Century in November 1899, Reverend Ferguson, then a professor at Trinity College in Hartford, wrote Clemens objecting to the use of proper names from his diary in uncomplimentary passages related to the lifeboat survivors. As a sort of apology to Reverend Ferguson, Clemens donated the proceeds from the Century article to a church in Ferguson's hometown. Clemens agreed to remove the proper names and replace them with asterisks when the story was included in Harper's 1900 edition of The Man That Corrupted Hadleyburg and Other Stories and Essays. Bliss followed Harper's lead and did not publish the proper names from Ferguson's diary. 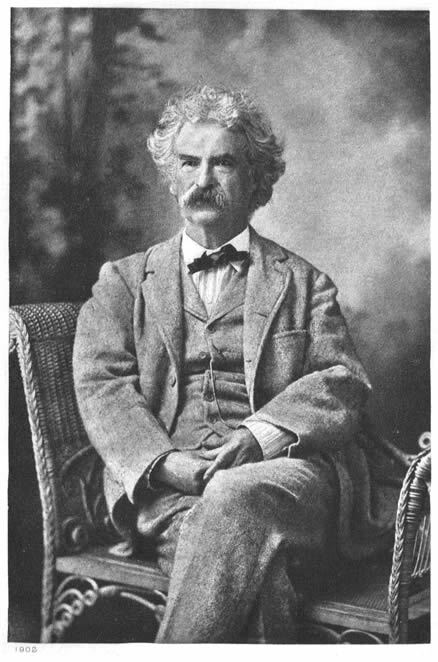 Thus, the Century article of November 1899 was the only original text of "My Début as a Literary Person" until the editors of the Mark Twain Papers provided an authoritative text of the essay in Autobiography of Mark Twain (University of California Press, 2010) based on Clemens's original manuscript and the Century printing. In Volume 23 Bliss included eight other magazine stories that Harper had used in the 1900 edition of The Man That Corrupted Hadleyburg and Other Stories and Essays. These included: "Is He Living or Is He Dead?" from Cosmopolitan, September 1893; "The Esquimau Maiden's Romance," from Cosmopolitan, November 1893; "The Austrian Edison Keeping School Again" from Century, August 1898; "About Play Acting," from Forum, October 1898; "The Man That Corrupted Hadleyburg," from Harper's Magazine, December 1899; "My First Lie and How I Got Out of It," from New York World, December 10, 1899; and "My Boyhood Dreams," from McClure's, January 1900. Bliss added six additional items to Volume 23 that had not been included in previous Harper volumes, in effect putting his uniform edition collection a step ahead of the Harper's editions at that time. These include "Extracts from Adam's Diary" which had first been published in 1893 by Underhill and Nichols in the Niagara Book, a souvenir publication for the Buffalo, New York World's Fair. Additional stories include "Diplomatic Pay and Clothes," from Forum, March 1899; "Two Little Tales," from Century, November 1901; "The Death Disk" from Harper's Monthly, December 1901 and "A Double-Barrelled Detective Story," from Harper's Monthly of January and February 1902. At Clemens's urging, Harper also granted Bliss permission to use "The Belated Russian Passport" from Harper's Weekly of December 6, 1902. It is the first collected appearance for that story. With the compilation of Volume 23, Frank Bliss had managed to include all of the stories that Harper and Brothers had included in their previous uniform editions of red cloth and gold cornstalks, plus add a few not previously collected in book form in the United States. The following chart compares the table of contents for Volume 23 to the 1900 edition of The Man That Corrupted Hadleyburg and Other Stories and Essays. Titles in bold are unique to Volume 23. Although Clemens had an opportunity to revise and refine his work for Volume 23 of the uniform edition, there is little evidence to suggest he took an active interest in doing so. However, no extensive comparison between Volume 23 and the previous printings of each essay has been conducted. Bliss did revise the spelling on "A Double-Barrelled Detective Story" choosing to use the spelling "Barreled." For the first 22 volumes of American Publishing Company's uniform editions published from 1899-1900, Frank Bliss hired Forrest Morgan to proofread for errors. There is no evidence that Morgan had an opportunity to proofread Volume 23 in 1903. Instead of using the book's title My Début as a Literary Person and Other Essays and Stories on the spine of Volume 23, Bliss chose to identify the book as Volume XXIII / My Literary Début. This designation appears on all the editions published by American Publishing Company including Autograph Edition, Edition De Luxe, Japan Edition, Author's De Luxe Edition, Royal Edition, Underwood Edition, Riverdale Edition and American Publishing Company's Hillcrest Edition of 1903. Frank Bliss hired new illustrators for the uniform edition. Artist and etcher William Harry Warren Bicknell (b. 1860 - d. 1947) was born in Boston, Massachusetts, the son of a grocer. Bicknell graduated from the Boston Latin School in 1878 and later studied at the Boston Museum of Fine Arts. He was a pupil of Otto Grundmann and Frederic Crowningshield. Bicknell etched a number of frontispieces made from photographs of Clemens that were used throughout the set. Bicknell's etching of the Tiffany monogram appears as a title page in every volume of the Autograph Edition, Edition De Luxe, Japan Edition, Author's De Luxe Edition, and the Royal Edition. Bicknell's engraved title page is present in Volume 23 but it is omitted from the illustration list. Thus, Bicknell's work is uncredited in Volume 23. In order to reduce production costs the Underwood, Riverdale, and Hillcrest editions featured the Tiffany title page only in Volume 1. The Author's National Editions eliminated the Tiffany title page altogether. These later editions also eliminated a number of Bicknell's engraved frontispieces. The frontispiece for Volume 23 is an uncredited photo of Clemens dated 1902. Frank Bliss did not use the original illustrations that had appeared with the magazine publication of a number of the stories included in Volume 23. Both "The Death Disk" and "Double Barreled Detective Story" had been illustrated by Lucius Wolcott Hitchcock in Harper's Magazine. "Two Little Tales" was illustrated by Frederick Dorr Steele for Century magazine. Instead of reusing the magazine illustrations, Bliss hired Francis Luis Mora to draw three new illustrations for Volume 23. 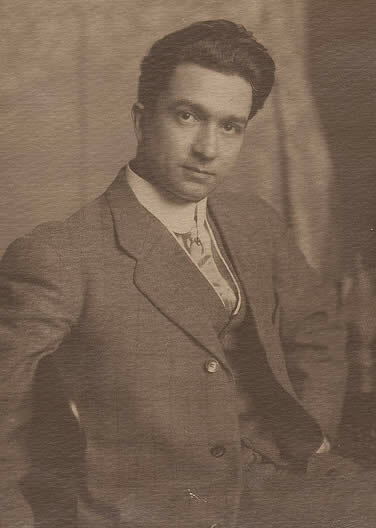 Francis Luis Mora (b.1874 - d. 1940) was born in Montevideo, Uruguay. His father Domingo Mora was a Spanish sculptor. His mother Laura Gillard was born in France. The family left Uruguay in 1877 and in the 1880s settled in New Jersey. Mora attended school at Manning's Seminary in Perth Amboy, New Jersey as well as public schools in New York and Boston. He studied art at the School of Drawing and Painting at the Museum of Fine Arts in Boston where he studied under Edmond Tarbell and Frank Benson. He also studied at the Art Students League in New York under Henry Siddons Mowbray. Mora likely studied alongside artist James Allen St. John who illustrated Volume 21 of Mark Twain's uniform edition. 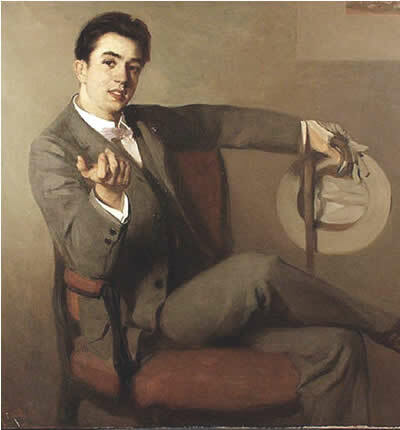 A November 1898 interview in Metropolitan magazine identifed St. John's portrait of Mora as one of his best. Beginning about 1892 Mora worked as an illustrator for magazines and periodicals including Harper's Weekly, Scribner's, Century, Collier's, Sunday Magazine, and Ladies' Home Journal. His first important commission was for a large decorative panel for the Lynn, Massachusetts Public Library which he completed in 1900. Mora later worked as a teacher at the New York School of Art. 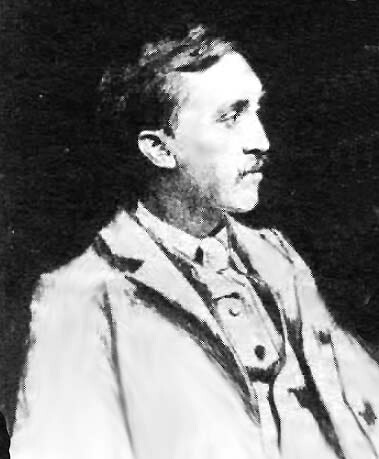 Among his students was Georgia O'Keeffe, who studied with him between 1907 and 1908. Mora's full-page illustrations for Volume 23 were for "The Esquimau Maiden's Romance," "Two Little Tales," and "A Double-Barreled Detective Story." 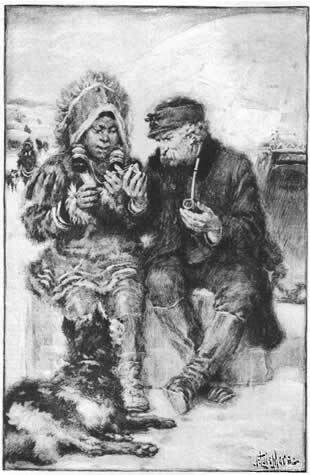 "The Esquimau Maiden's Romance" was initally published in Cosmopolitan, November 1893, with illustrations by Daniel Carter Beard. Mora's illustration for that story is for the same scene Beard illustrated. The following are the original full-page illustrations that first appeared in the 1903 Autograph Edition, Edition De Luxe, Japan Edition, Author's De Luxe Edition, and the Royal Edition. issued by American Publishing Company. As other editions were developed and prices were lowered, some of these illustrations were eliminated. In October 1903 Harper and Brothers bought out American Publishing Company including the unsold inventory of Frank Bliss's 1903 Hillcrest Edition. Over a year later on December 10, 1904 The New York Times reported that Harper and Brothers would be releasing a new Hillcrest Edition from new printing plates. In 1904, Volume 23 of the Harper Hillcrest Edition was retitled The Man That Corrupted Hadleyburg and Other Essays and Stories. This title appeared on both the title page and spine of the new edition. Harper believed "The Man That Corrupted Hadleyburg" was the most powerful story in the collection. From 1903 until 1916 the contents of Volume 23 remained the same. In 1917 Harper revised the contents of The Man That Corrupted Hadleyburg and Other Essays and Stories for a new printing of the Author's National Edition. This reshuffling of material is one source of confusion for book collectors who often try to acquire replacement volumes for incomplete sets. The task is further complicated due to the fact that the bindings for a number of years were extremely similar even though the contents were different. Harper edition of Vol. 23, The Man That Corrupted Hadleyburg and Other Essays and Stories with printing date of L-Q (November 1916) retains the original 1903 table of contents. Harper edition of Vol. 23, The Man That Corrupted Hadleyburg and Other Essays and Stories with printing date of G-T (July 1919) features slightly smaller binding and Arabic volume numbers 23 on the spine and different contents. For the 1917 Author's National Edition, Harper and Brothers removed "Extracts from Adam's Diary" from Volume 23 and added "The £1,000,000 Bank-Note" and "A Petition to the Queen of England." The additions were stories that had previously been part of Volume 21, The American Claimant and Other Stories and Sketches. The following table details the shifting contents of Volume 23. Titles in bold are unique to each volume. Blanck, Jacob, compiler. Bibliography of American Literature, Volume Two. (Yale University Press, 1957). Estes, Arthur B. "J. Allen St. John," Metropolitan Magazine, 1898 November, pp. 503-06. "F. Luis Mora, 65, A Noted Painter," The New York Times, 6 January 1940, p. 25. "Luis Mora at Home, A Prophet Honored," The New York Times, 11 September 1927, p. X11. Mora, F. Luis to American Publishing Company, 18 August 1902. Accession No. 6314, Box 8. (University of Virginia Library, Special Collections). Twain, Mark. 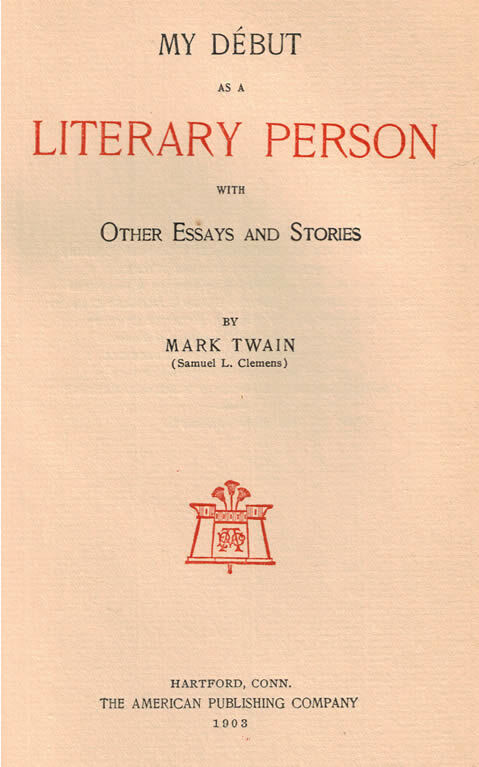 Autobiography of Mark Twain. Edited by Harriet Elinor Smith, et. al. (University of California Press, 2010). _____. The Man That Corrupted Hadleyburg and Other Stories and Essays. (Oxford University Press, 1996). _____. My Début as a Literary Person and Other Essays and Stories. Royal Edition. (American Publishing Company, 1903).